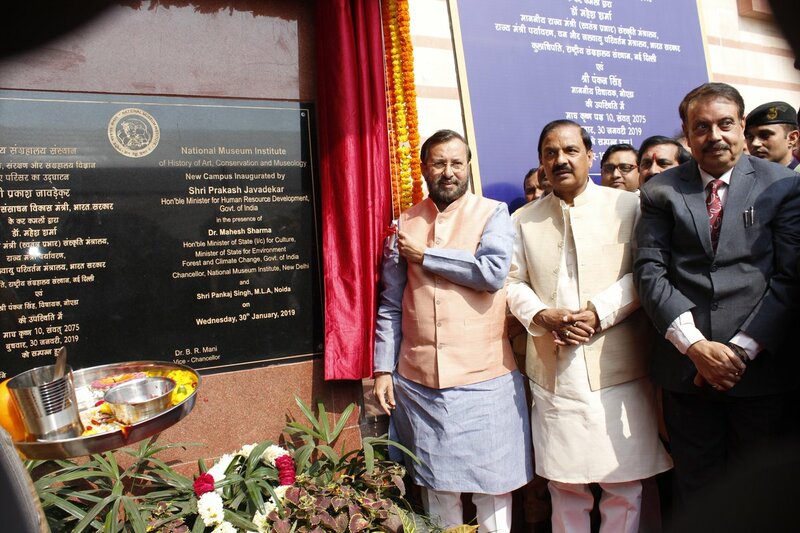 Union Minister for Human Resource Development,Prakash Javadekar inaugurated The new Campus of the National Museum Institute in Noida. The total budget of Rs.90.40 crores (including 10% escalation charges) the project in a span of about 4 years. Four new courses that are Archaeology; Palaeography, Epigraphy and Numismatics; Structural Conservation and Cultural and Heritage Management, are expected to be commenced.